The river Drin is currently used by a chain of HPPs. The Ashta hydropower plant is the last in this chain and located below Vau i Dejës HPP, about 50 km from the outflow of river Drin in the Adriatic Sea. The reservoir is fed from the Vau i Dejës HPP and from minor side inflows. Before the construction of HPP Ashta the major part of the water passed the weir without being utilized and flew back into the river Drin while another quantity fed a small irrigation system. HPP Ashta supplies electricity to more than 100,000 Albanian households, has created new jobs and has provided a positive impulse to the region and the country. With energy being a hot topic for Albania, the construction of this HPP guarantees the reliable supply of electricity of the Albanian electricity system, reduces energy imports from abroad and only moderately affects the environment. The project’s environmental impact is almost negligible, especially since HPPs do not produce any emissions. 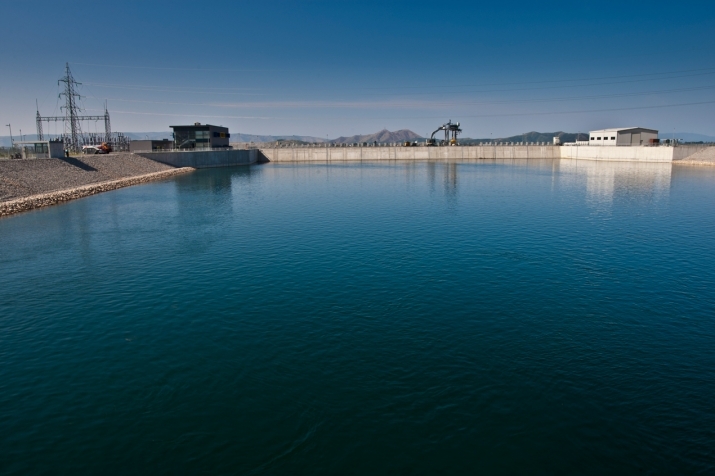 HPP Ashta is divided in two: electricity is first generated at Ashta I, where the Spathara reservoir with its effluent weir and small irrigation system was erected three decades ago for the agricultural industry. Up to 560 m³ of water per second will – and this is where it gets exciting – supply not ordinary turbines, but 45 matrix turbines. 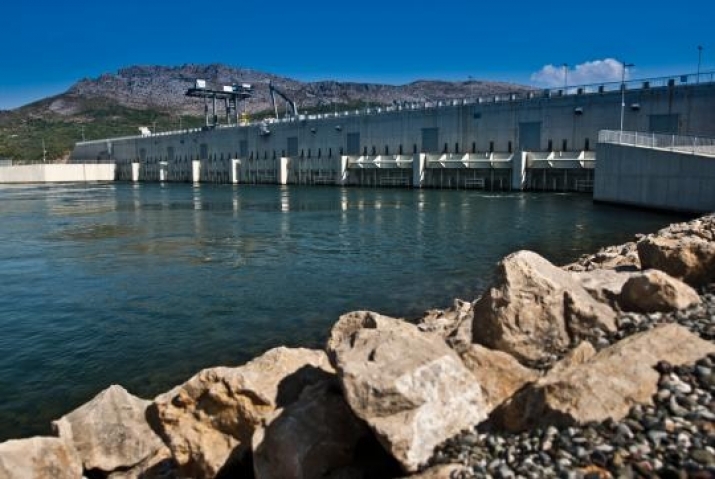 At the end of the 35-year concession period the HPP will be handed over to the Republic of Albania. 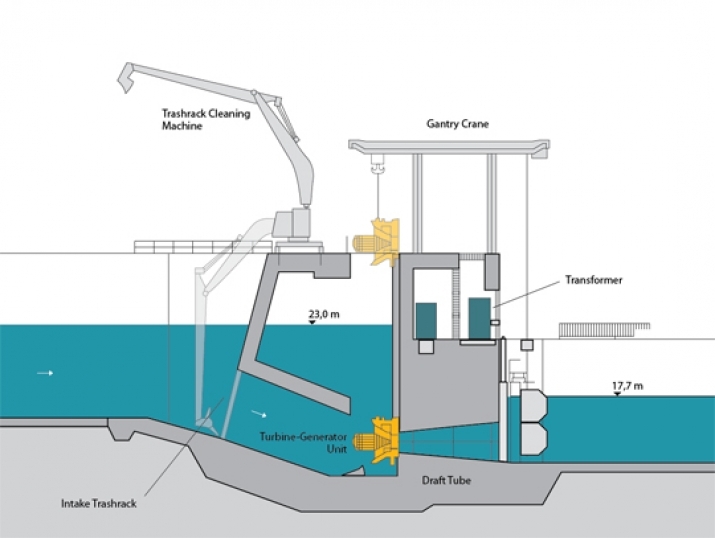 Instead of one large turbine, this innovative technology employs several small ones. As a result, it is possible to utilize even low heads and thereby increase efficiency. The matrix turbines for both Ashta power plants were supplied by Andritz Hydro (previously known as VA Tech Hydro), and are therefore an Austrian product. However, one power plant is not enough: electricity is also generated for a second time, after a five kilometer long, low-lying bypass channel close to the small village of Ashta, which is part of the commune of Bushat. Again, matrix turbines are used. The total capacity of the two plants (Ashta 1 and Ashta 2) with matrix turbines amounts to more than 50 megawatts; 242 million kilowatt hours are generated annually. The construction for the upper power plant started in the beginning of 2010; more than 200 million euros were invested. From 2013, the electricity generated is fed into the Albanian 110-kV grid. After a brief construction period of little more than 30 months, and only four years after concluding the concession agreement, the inauguration of Ashta hydropower plant took place in September 2012. With a high level of professionalism, open communication and reliability as well as excellent collaboration with the Albanian authorities, we were able to finalize this project in record time and with the highest standards of quality, environmental protection and safety.